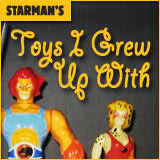 AFB Presents Starman's Toys I Grew Up With: Super Naturals! I have been completely snowed under by work and work travel in the last week and a bit, and as such I'm going to be double posting tonight to fit in two monthly features that haven't yet appeared in May before we click over to June. It wouldn't be a proper month at AFB without a visit from our friend Starman and his "Toys I Grew Up With"! Stars is back this month to once again display his uncanny ability to dig up toy lines that we have probably never heard of before, or only remember in the deep recesses of our minds! Over to Stars for the obscure toys lowdown! This is an odd little line. 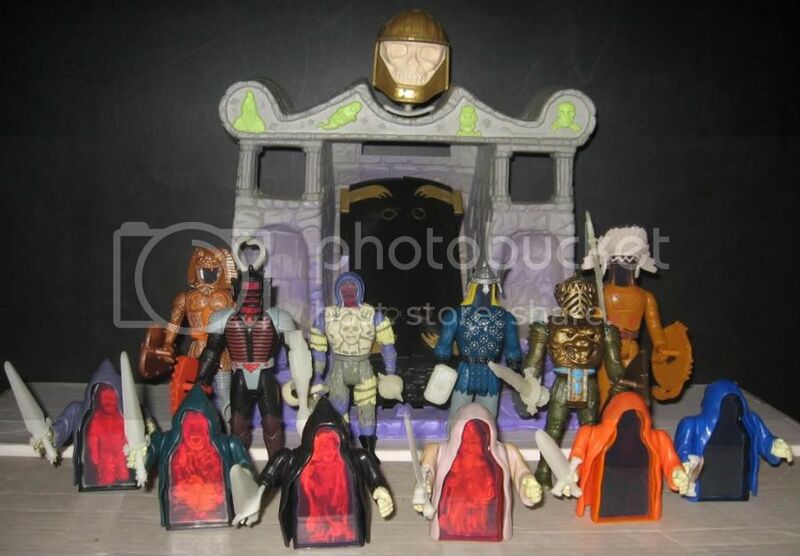 Made by Tonka in 1987, the feature of this line was the "new" craze...HOLOGRAMS!!!! Basically each figure had a 2-way hologram for a head and chest. Each "hero" and "villain" had headgear and a clip-on chestpiece of some sort to cover the holograms. Then you could remove them to reveal each one's "power". They also had glow in the dark weapons and holograms on their shields. All the small guys are Ghostlings. Four good guys and four bad guys. They were underlings or something. Also, I have the Tomb of Doom. It has a coffin that reveals a hologram when you turn a dial on the back. It also has glow in the dark pieces and the large skull on top is a removable working flashlight. There were also two creatures and two vehicles, none of which I own. You can find out more information about this odd little line by clicking here for some information. You can discuss this at the AFB Forum and comment on this post to enter the May AFB Comment of the Month Contest! Cool! I thought I was the only one who grew up with these toys. Most kids in my neighborhood didn't appreciate my collection.